You might remember that last month I took part in The Snail Mail Collective, well I enjoyed it so much I decided to do it again! This month I was paired with D'Ann from Mismatched Simplicity. D'Ann is a lovely Texan girl with a passion for books, cups of tea, food and travel to European destinations amongst other things! We found we had lots to talk about, not least weddings, as D''Ann recently got married! (take a look at how gorgeous her vintage heirloom dress is here, and her amazing wedding here) And of course my special day is drawing closer by the second. No need to Panick! I am making progress though, you can see my latest update here. Our theme this month was 'Back to School'. 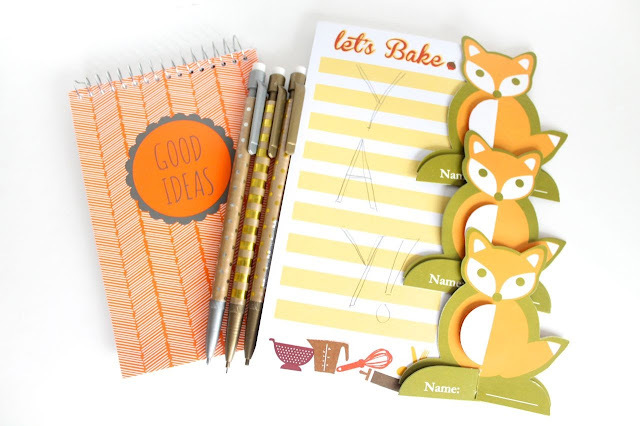 D'Ann sent me some lovely stationary in an autumnal theme, and some little fox place settings, aren't they cute!? D'Ann is also rather fond of Harry Potter, and is still awaiting her acceptance letter to Hogwarts! 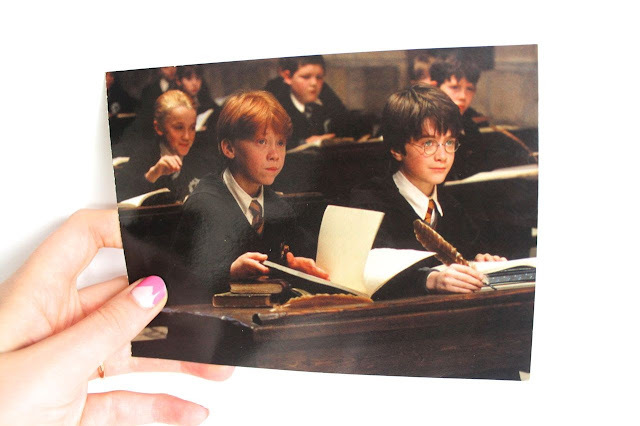 She sent me this postcard of a rather little Harry and Ron being studious. I have never really gotten into Harry Potter, but I think it is something I would like if I did. I enjoy being absorbed into fantasy worlds and can become quite obsessive! Lord of the Rings and Game of Thrones are my favourites, I like all the little details about how their worlds work. Anyway, I think I am going to give Harry Potter a shot, I'd really like to visit Harry Potter Studios and I guess I will appreciate it more if I know a little bit more about it! So that is definitely on my reading list now! You can see everyone's link up's from September's Snail Mail Collective here. Oh what a happy international exchange :] So happy we connected over the interwebs and get to share pieces of ourselves and cultures in such a unique link up. Can't wait to keep blog stalking you!